Last April in the post Shivering My Way to Leanness, I discussed how I was inspired by evolutionary fitness guru Arthur De Vany to try cold weather exposure. In a nutshell, throughout thousands of years of human history, it has only been in modern times that humans have lived in a perfectly controlled temperatures. As an organism, we losing our ability to adapt to cold weather stresses. Went to the gym this morning at 7:45 AM in my tank top and shorts. It was a bit brisk, but not cold. At least that is what I thought. When I got home I checked the weather and it read 41 degrees (5 C). I guess Ive acclimatized to the Seattle area. The above story was a short trip to my gym by car, where I had only a few minutes of outdoor air exposure. The testing has gotten a lot more intense. On an average day, I am now spending between 1 to 2 hours outside. As temperatures gradually dropped from summer 70s to the current mid 40s, I have remained in short-sleeved shirts. If the wind is strong, I’ll add a thin fleece on top, but that has only happened once so far this season. My cold weather exposure tests are not to be confused with the 1985 Phil Collins release. There are three goals of cold weather exposure. Getting Leaner. Is this the third path to fat loss, after diet and exercise? Cold Weather Comfort. How quickly can the body adapt its comfort level, aka acclimatization? Although my testing will continue, I want to give a status report on how these goals are being met. No heart attacks or strokes this year. 🙂 Seriously, there is no real way to test for this. If I make it to 100 years old without having a heart attack then I’ll count this as a success. Too soon to tell on this one. Every year when the colder weather comes, I gain some fat. This year I haven’t, but I also haven’t gotten leaner. So the jury is still out on this one. By spring I should have a better idea on the fat burning effects of cold weather exposure. Acclimatization has been an amazing success. My body has been able to adapt to cold temperatures more this year than the 24 years I lived in Ohio. When I first walk out the door, I get the sting of cold on my exposed skin, but it goes away in minutes. I love walking around my city enjoying the cool brisk air without putting on a jacket. While putting this post together, I discovered a 3 minute video by Art De Vany explaining how cold weather exposure accelerates the burning of body fat. Since content by Art De Vany is often moved or removed from the Internet, I’ve taken some notes from the video below. Infants have BAT (brown adipose tissue) to protect them from cold. People in cold climates retain BAT. BAT generates no energy that can be used for movement, it throws off pure heat. When De Vany hikes or rides his motorcycle, he tries to trigger a shiver response. De Vany also rinses his legs with cold water in the shower. Surfers tend to be lean because there is a tremendous heat loss in the water. They have higher amounts of BAT. Unlike aerobic exercise, energy from BAT produces no free radicals. Note that when you watch the video that De Vany is 71 years old, 6’1 and weighs 195 pounds. 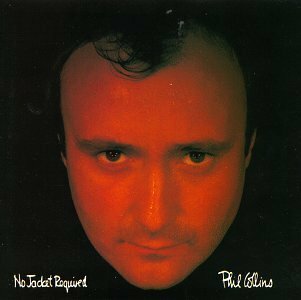 No Jacket Required, indeed! So what about the large portion of the earths population that evolved in warm weather climates, like the tropics? Also, surfing, btw, is a MASSIVE workout. They could be surfing in a hot tub and they’d still be thin. And I’m kind of surprised that you are surprised about your body’s ability to cope and adapt. There could be a separate set of reasons why warm weather exposure (or even that it would qualify as a different kind of stress) and the body’s acclimatization to it that could have the same end result, which would not necessarily disprove this theory. I am not surprised by my body’s ability to adapt. I’m surprised at the speed it which it has happened. Not sure why the theory is poppycock. The body desires to be at a certain temp range. When you are exposed to colder temperatures, it burns more fuel to offset the effect. At least some portion of that will come from fat. So fat is being burned without exercise or caloric restriction. Seems logical to me. I guess so. I just think that the amount of extra calories burned is likely very minimal. And I just don’t see how that “stress” is any different in affecting long term weight loss or stress tolerance than every other stress we go through in life. The stress thing is something that would be very tough to determine and impossible to test for on an individual basis. The fat loss from BAT is interesting though. Even if it is just a percent or two, over a lifetime that could equate to pounds. Worst case scenario is one spends less on sweaters and coats! Interesting article I heard on Morning Edition (NPR) about how cells actually adapt to heat. I have seen this read about but there seems to be a condradiction. Surfers are lean because they are in cold water etc…” yet De vany clearly says they have much more adipose tissue. Correct me if I’m wrong but adipose means fat tissue, and it takes up space in your body. IF you’re always cold you will store more BAT to stave off cold and if you’re storing more Adipose tissue, you’ll not be that lean. I think surfers burn it off more through activity, because I haven’t see too many skinny Inuit or Eskimos, simple math..they live in perpetually cold climates, and always have. In fact I have seen some of the slimmest people living in hot climates. Something isn’t right here. I don’t know that answer. I’m still a student, but I think De Vany means that it is a higher *percentage* of BAT, not necessarily more BAT in addition to other fat. Another book I read stated that male Eskimos that were not exposed to a Western diet had body fat levels of 11-15%. I can not remember the source, but those BF levels are quite impressive. The next question one asks is how much of their leanness is do to cold weather and how much to diet. I don’t think we will ever have a way to truly test. Good for you? 40 degrees isn’t that cold. You realize that thousands of little kids spend hours outside without a jacket during the Seattle winter, right? For proof take a stroll down to your local soccer fields on a Saturday morning.